Up in a flash and bursting with fun, the Kid Active Pop-Up Playset has you ready for playtime in no-time. 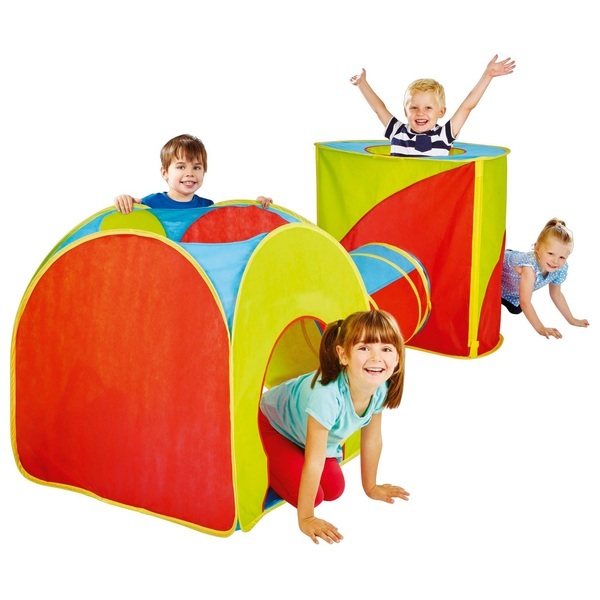 Ideal for adventures inside and out, this brightly coloured play set features two fun shaped tents and a connecting crawl through tunnel – perfect for peeping out and crawling through with friends or siblings. Plus, the Kid Active Pop-Up Play Set is easy-peasy to put up and simple to store away. So whether they’re having fun in the house, or playing in the garden, fun and giggles are guaranteed.